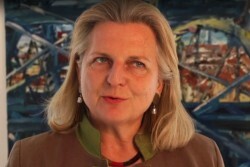 Foreign Minister Karin Kneissl stresses Austria's commitment to the International Mine Awareness Day. In the last 20 years Austria has provided more than 33 million euros for mine action and supported projects in Bosnia, Iraq, Afghanistan, Libya, Mozambique, Ukraine and other countries. 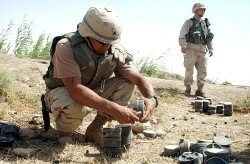 "20 years ago, the Convention against Anti-Personnel Mines came into force. It is a milestone in the fight against this insidious weapon, also known as "silent death", said Foreign Minister Karin Kneissl on the occasion of the International Mine Awareness Day. This article includes a total of 478 words. IAEA: What Did the 62nd General Conference at the VIC in Vienna Achieve?